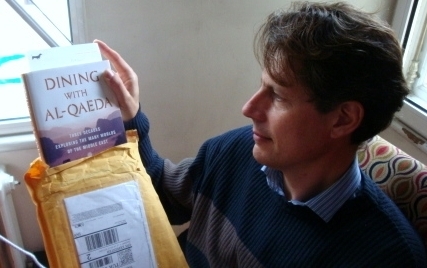 The arrival of the first properly printed copy of a book is a sweet moment indeed. After years of work, it’s been fired, glazed and is as good as I could make it. Hard covers, embossed dust jacket, author photo … it’s finished! For the first time, I can read the text for pleasure, not as another editing exercise. Perhaps I’m just blowing my own trumpet – my wife Jessica certainly thinks so – but I’m proud and want to share the first fruit of all my labours! Ha, I don’t think an Englishman who wants to blow his own horn can win that one with a Calvinist wife! Congrats Hugh.